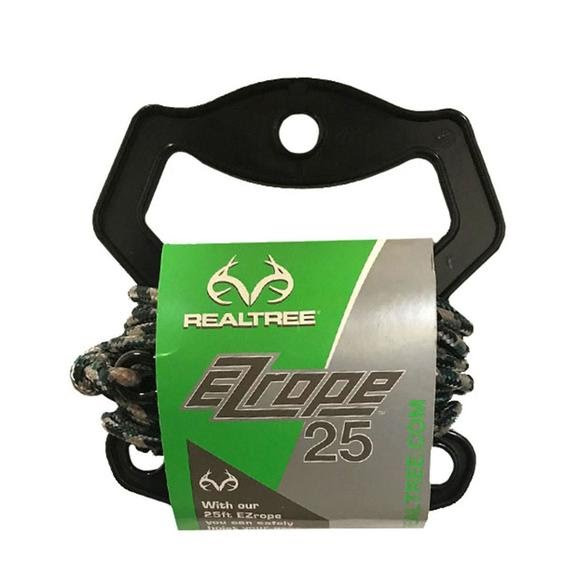 Easily hoist your bow and other equipment into your tree stand with Realtree's EZ Rope. 25 feet of braided cord with the carabiner simplifies attaching gear. Convenient plastic handle for hoisting easily. Easily hoist your bow and other equipment into your tree stand with Realtree &apos;s EZ Rope. 25 feet of braided cord with the carabiner simplifies attaching gear. Convenient plastic handle for hoisting easily.